Prime 1 Studio is proud to present UPMBR-01: Guts from Berserk (Manga). Guts also known as The Black Swordsman is the main protagonist of Berserk. He was the former raid unit leader of the mercenary group known as the Band of the Hawk. 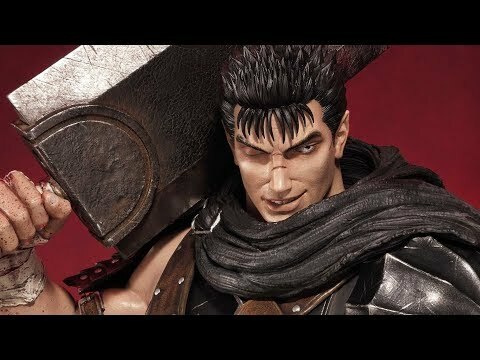 This Ultimate Premium Masterline Berserk series brings to life the popular Japanese dark fantasy comics/manga and crafted with attention to details and true to the original design of the character. The base with the Beast of Darkness and his unborn child on which Guts stands features several defeated enemies among the forest environment. The Black Swordsman statue including the base stands at an impressive 36 inches tall with his Dragonslayer sword on the shoulder. This is the ultimate piece for all Berserk fans.